In addition to being the cellist of the Blair String Quartet, Felix Wang is a founding member of the Blakemore Trio and co-principal cellist of the IRIS Orchestra under the direction of Michael Stern. He has performed throughout the United States and Canada as a chamber musician, soloist, and in recital, receiving critical acclaim for, “beautifully wrought,” “dazzling,” and “soulful” performances. 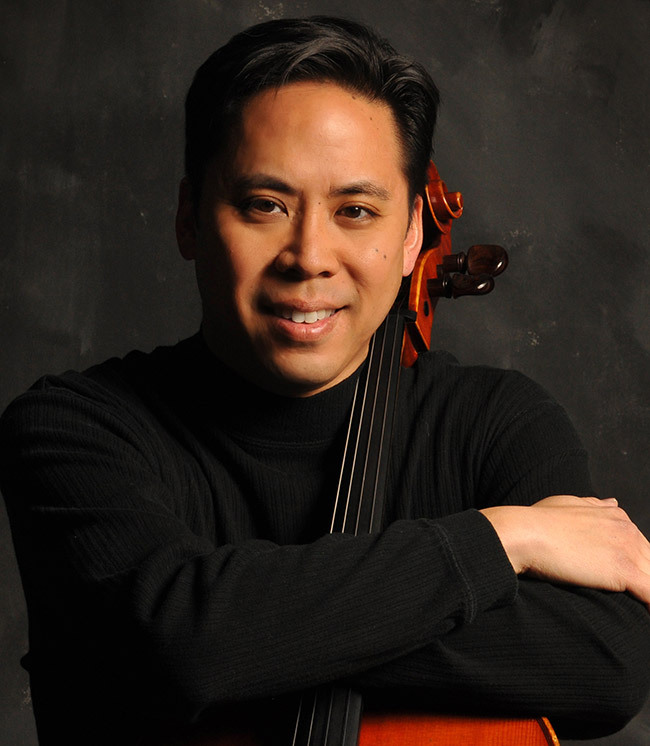 Mr. Wang has been the winner of several esteemed competitions, including the National Society of Arts and Letters Cello Competition, where he appeared with the Phoenix Symphony. Judges included Mstislav Rostropovich, Raya Garbousova and Laszlo Varga. He has been heard on NPR stations across the country and has recorded for the Naxos and Centaur labels. Frequently invited to perform at chamber music festivals, he has appeared at the Tucson Winter Chamber Music Festival, Strings in the Mountains Festival, the Garth Newel Chamber Music Festival, the Highlands Chamber Music Festival and the Roycroft Chamber Music Festival, among others. In demand as a rising young pedagogue, Mr. Wang is currently Professor of Cello at Vanderbilt University in Nashville. During the summer he is currently on the faculty of the Brevard Music Center and the Madeline Island Music Festival, and has served on faculties of the Banff Centre Youth Arts Festival, the Interlochen Center for the Arts, the Rocky Mountain Summer Conservatory, the National Music Festival and the Killington Music Festival. Mr. Wang received a Doctorate of Musical Arts from the University of Michigan, a Master of Music from the New England Conservatory, and a Bachelor of Music from the Peabody Institute of the Johns Hopkins University. Mr. Wang was also a recipient of the prestigious Frank Huntington Beebe Grant for study abroad, using it to study in London with William Pleeth. His teachers have included Erling Blondal Bengtsson, Laurence Lesser, Stephen Kates, Jeffrey Solow and Louis Potter, Jr.